Welcome to The Chase Masonic Lodge No 6291. The Chase Lodge operates under the jurisdiction of the United Grand Lodge of England and of the Provincial Grand Lodge of Staffordshire. We are one of nearly 100 Lodges in the Province of Staffordshire which encompasses a community of more than 2,800 members. Freemasons come from all walks of life, and are active in promoting a culture of integrity, charity and community responsibility. The Lodge members represent a broad age span and the social mix in the Lodge is very diverse with members from a wide variety of industries and professions, including painting and decorating, mechanics, transport, farming, financial services and medical technologies. But what you do for a living isn't important, sharing in our philosophy is. 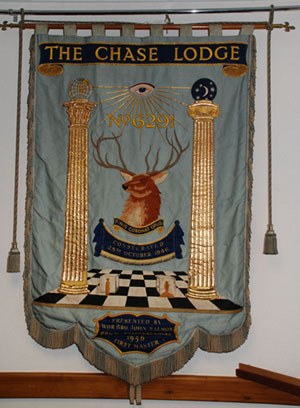 The banner of our Lodge depicts a Stag below the “all seeing eye” and between the two great Masonic pillars and above the chequered carpet. The stag is synonymous with Cannock Chase and now seems even more appropriate since we moved to the Chase Golf Club. The Chase Lodge was consecrated on 28th October 1946 and meets on the last Monday of September, October, November, January, February, March and April. The installation of Officers is normally held on the last Monday of October. The Brethren also enjoy several social events throughout the year, where the doors are open to the family, friends, and guests of our members. From its consecration in 1946 up until 2006, the Lodge was based in Cannock, and originally met at the Hatherton Rooms, Stanton's Cafe in Wolverhampton Road, where our Mother Lodge, the Earl Shrewsbury Lodge held their meetings. Holding meetings in the Hatherton Rooms which were the function rooms for Stanton's Cafe, meant that the room had to be cleared by the brethren, the masonic furniture brought down from the attic and the Lodge set up. After each meeting the masonic furniture was taken up to the attic and the room then set up for the Festive Board. 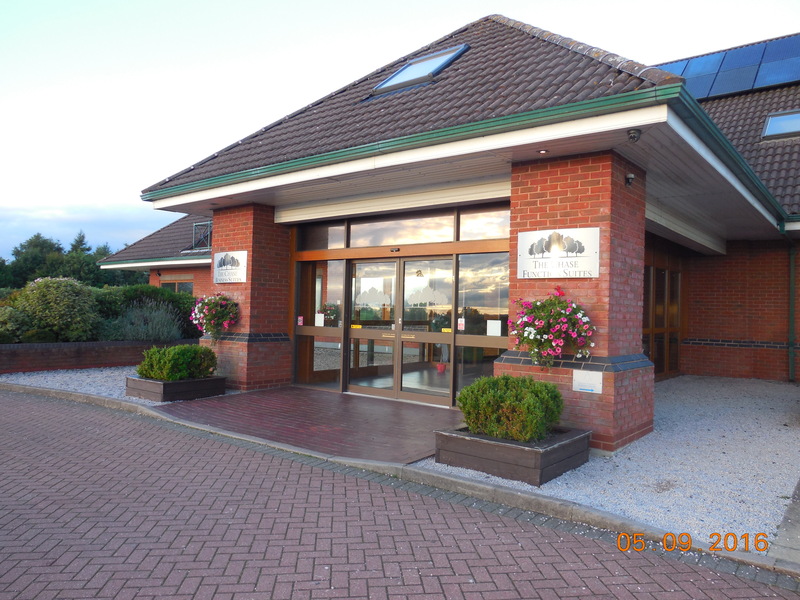 For the Installation Meetings the old Community Centre, Hall Court Crescent, Cannock was used and a dispensation had to be obtained. The furniture was then transported from and back to Stanton's and the Festive Board held at Stanton's. In 1956, Stanton's sold their business and the buildings and we then moved to new premises above Taylors in Market Hall Street, which we then occupied until 2006, when we moved again to the newly consecrated Masonic Rooms at the Chase Golf Club, Pottall Pool Road, Penkridge ST19 5RN. Following every formal Lodge meeting we enjoy a meal with toasts and a few speeches. It’s a convivial environment where the brethren can spend an enjoyable evening amongst friends.